“A challenging and varied legal career within the British Army." The Army needs academically strong, motivated legal officers who can give sound legal advice in demanding environments. The Army Legal Services (ALS) is a delivers specialist military legal support to the British Army. Qualified barristers, solicitors and advocates, the officers of the ALS perform a range of crucial tasks, from prosecuting soldiers charged with offences at courts martial to advising senior commanders on rules of engagement during operations abroad. They also train and advise officers from other parts of the Army on discipline, administrative action and operational law. Practise your profession without timesheets or billable hours targets. Travel worldwide delivering legal advice in interesting and challenging environments. Enjoy a structured career up to the age of 60 with the chance to gain promotion to Major General. Have a varied workload over a range of legal specialisms. Gain post-graduate qualifications, subsidised by the Army. As a Legal Officer, you'll spend 9 months training before going to your first legal role. During your first two weeks, you'll conduct your initial training and administration at the Directorate of Army Legal Services. Qualified solicitor, barrister or advocate, qualified in England and Wales, Scotland or Northern Ireland and have completed your training contract or pupillage. “The best thing about the job is that I work for an organisation I truly believe in and respect. 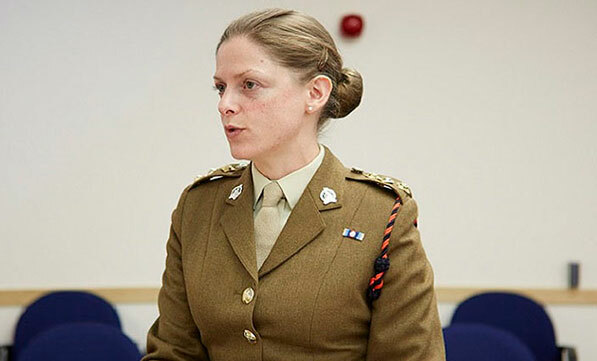 My role as an Army lawyer allows me to be directly involved in assisting the Army; be it on operations, advising Commanding Officers both in the UK and Germany or assisting soldiers with various legal problems they may encounter." If you've got your qualifications, then apply online. Your application will be passed to our specialist team, who will help guide you through the process towards joining in this role. You'll need to have already completed a 12 month pupillage or 2 year training contract.